Les 3 Vallées is one of the largest linked ski networks in the world and home to some of the most famous and most popular ski resorts in the Alps. The entire system of 197 lifts serves a massive 600km of pistes, offers more than enough skiing for even the most adventurous and piste-hungry skier. This area is also a hotbed for property investment with a wide range of exciting newbuild developments occuring across the region. 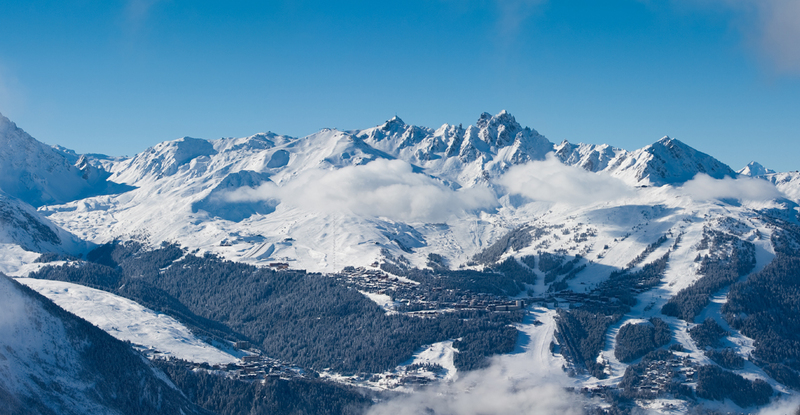 We currently offer chalets and apartments for sale in Les Menuires, St. Martin de Belleville, La Tania, Meribel and the various Courchevel resorts. Two chalet-style apartment buildings, consisting of ten brand new residences and located just outside the centre of Meribel. Chalet K2 is a large family residence to be constructed in the centre of St Martin de Belleville, located just a short walk to the nearest lift. A brand new chalet, close to completion, being constructed by a respected local architect in the traditional village of St Martin de Belleville. Chalet Cristina is a great opportunity to have a brand new, luxury chalet built to order with your own specifications in the prestigious resort of Meribel. L'Oree du Bois, a well-known, former hotel located right next to the slopes above the prestigious resort of Meribel, is to be renovated into a set of luxury ski apartments. A rare opportunity in the highly sought after resort of Meribel, Les Colleys is a spacious duplex apartment situated in a great position. Manali Lodge is an existing 5* hotel in the centre of Courchevel 1650 that is to be entirely renovated into a set of 12 freehold and 6 leaseback apartments. One last stand-alone chalet for sale in the (otherwise sold out) Caseblanche Chalets development. Ski in/ski out position directly on the piste. The Hameau Saint Jacques is a new development of just two outstanding chalets that are now built and ready to occupy. Chalet 2000 is a set of just four, high quality leaseback apartments located in an ideal ski in, ski out position with direct access to the entire Trois Vallees ski region. An exceedingly rare leaseback development located in the centre and on the slopes of St. Martin de Belleville. A stunning renovation of an historic building in the centre of St Martin de Belleville, only one of these prestigious apartments is still on the market. A complete renovation project near to the centre of Courchevel 1550 and right on the slopes, Phoenix will consist of 32 high quality residences. An entirely renovated chalet finished in a classic Alpine style and situated in close proximity to the ski pistes of Le Raffort. Le Yeti is an existing hotel located right on the slopes above Meribel which is to be entirely renovated into ten luxury apartments. Le C is a brand new collection of just nine apartments and the last phase of the extremely popular, now sold out, Courchevel Lodges development. Located above Courchevel 1650 and right next to the slopes, Canyon Lodge is a brand new, luxury chalet development built by an experienced local developer. Chalet Le Blizzard is an elegant, luxury chalet located right next to the slopes in Courchevel 1550, allowing direct access to 600km of slopes. Chalet Mazot is a brand new two bedroom mini chalet situated right in the heart of the Trois Vallees ski area. La Ferme des Lanches is a unique and brand new development to be built in the charming village of Courchevel Le Praz with stunning views across the valley. Phases One and Two completely sold out, please register your interest for Phase Three now. Chalet Olympia is a stunning luxury chalet, situated in a peaceful location near Meribel Les Allues and just a 15 minute drive from the centre of Meribel. Les Follieres is a collection of just four luxury apartments, located in an ideal position right next to the centre of Courchevel 1850.